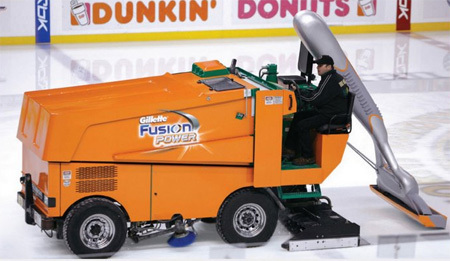 Larger-than-life Gillette Fusion Power razors were attached to the backs of Zamboni (ice resurfacer) machines, making it seem as though the razors were giving the ice a smoother “shave”. 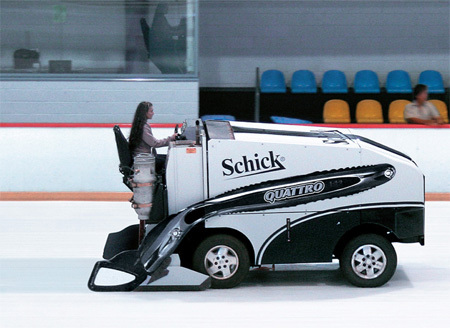 It is worth mentioning that JWT Sydney ad agency created similar campaign for Schick Quattro when they fitted a Zamboni machine at Sydney’s largest ice arena with a giant razor. 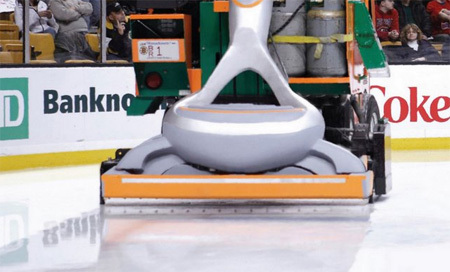 So, will every razor company eventually sponsor a Zamboni? 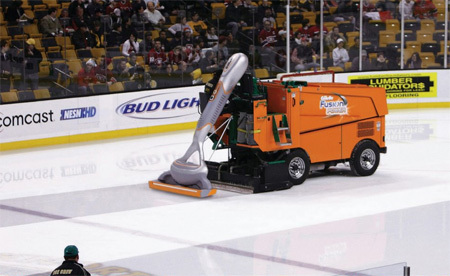 I look forward to seeing a Norelco electric shaver Zamboni.